Air compression generates heat. 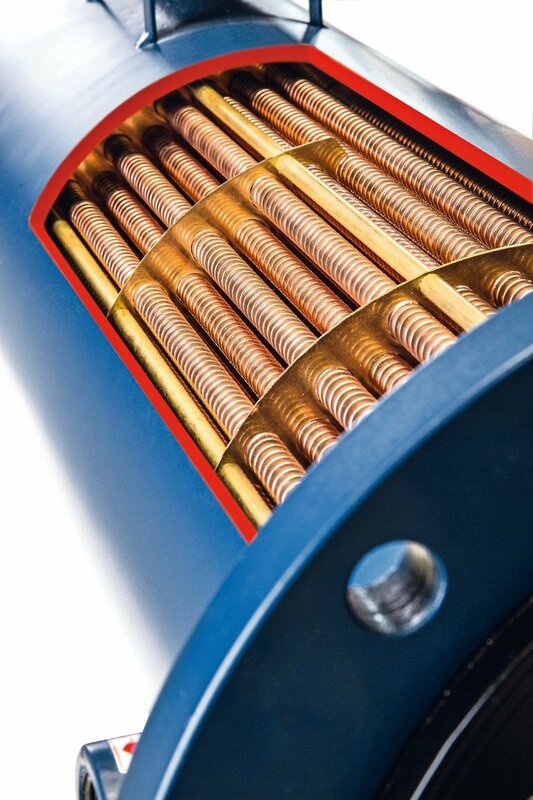 Large parts of this heat can be recovered using tube bundle heat exchangers. Cooling water flows around the tubes in counter-flow. The fins ensure effective heat transfer. Process or compressed air is the most expensive form of energy for physical reasons. There is no compressed air without heat. 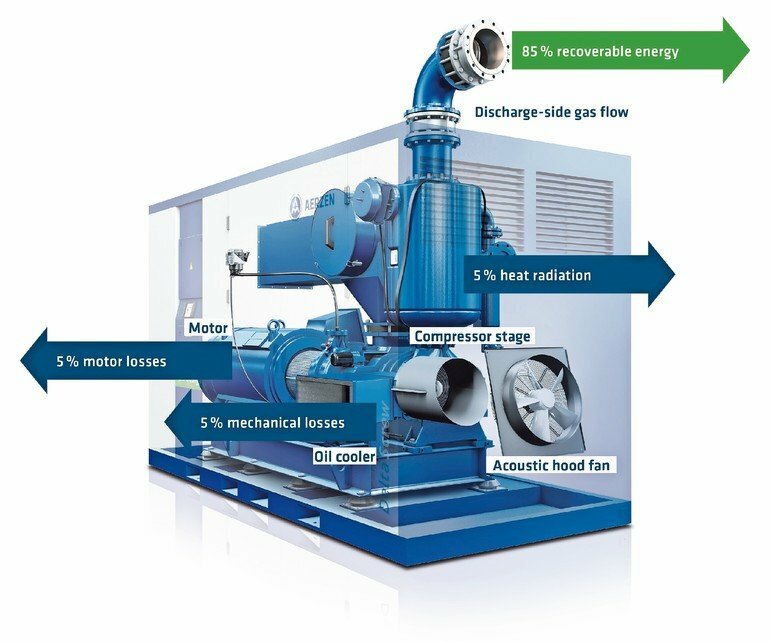 In view of the long operating times of compressors, it is particularly important to recover these costs for two reasons: firstly the environment and secondly good business management. Appropriate solutions for new construction and retrofitting are now an integral part of the Aerzen portfolio. Compressed air is a hot topic from the energy point of view. Limited resources, strict environmental regulations, restrictions on CO2 emissions, rising energy costs and increasing price pressure are the driving forces behind energy efficiency projects. On the one hand, these are based on precise design, so that systems can operate around the clock and as close as possible to the optimum operating point, using frequency inverters for speed control. It is therefore important to say goodbye to well-meant power reserves without endangering operating safety. 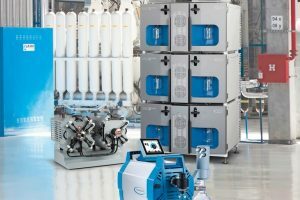 On the other hand, for physical reasons, compressors offer enormous potential for utilising the inevitable rise in air temperature as the pressure increases. In view of the growing interest in ecological sustainability and economic cost awareness, plant operators are increasingly considering heat recovery. This development is accelerating, not least due to the attractive return on investment, which is often less than two years. What are the reasons for this easily accessible potential? According to the laws of thermodynamics, air heats up in an enclosed space as soon as the pressure rises. The reason for this is that the air molecules must move closer together because there is less space, leading to increased friction. The law of ideal gases is applied for further analyses at typical process air pressures. The air temperature can be calculated downstream of compression together with the efficiency of the compressor at the respective operating point. This mainly depends on the pressure ratio. At an intake temperature of 20 °C, a pressure ratio of three and an isentropic compressor efficiency of 74 %, the air is heated to approximately 166 °C during compression. The higher the temperature, the wider the range of applications for waste heat recovery. Thermodynamically, the quality of the heat is described by the so-called Carnot factor, which includes the ratio of the absolute waste heat and heat sink temperatures, i.e. the use of waste heat. The amount of heat contained in the process air typically accounts for about 85 % of the total that can potentially be recovered in plants. 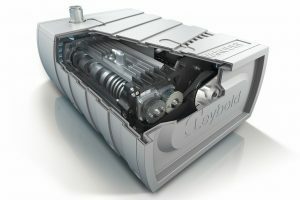 The remaining 15 % are distributed more or less equally between losses from the drive motor, the mechanics and radiation from the hot compressor stage underneath the acoustic hood. However these 15 % can also be used to heat adjacent office or production areas in connection with heat recovery measures. Aerzen equips the exhaust air louvres of the Delta Blower positive displacement blower, the Delta Hybrid rotary lobe compressor and the Delta Screw compressor with an exhaust air duct. The heated air which previously cooled the compressor stage, the silencer, and the piping system underneath the acoustic hood escapes from this duct. The return flow in the central exhaust air duct, from which branching ducts supply the rooms to be heated, has a temperature of between 30 and 60 °C. Regulated flaps are used in this system for individual temperature control. The first method of heat recovery is to exploit the 85 % share of thermal energy, i.e. the compressor air itself. 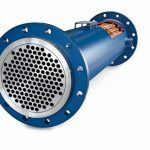 Aerzen already successfully uses flow-optimised tube bundle heat exchangers for a large number of applications. These compact units are located immediately downstream of the assembly on the discharge side and are simple to install. 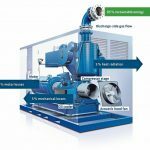 Consequently, this technology is also recommended for retrofitting, as a way to noticeably improve the energy efficiency of existing plants as well as the CO2 balance. 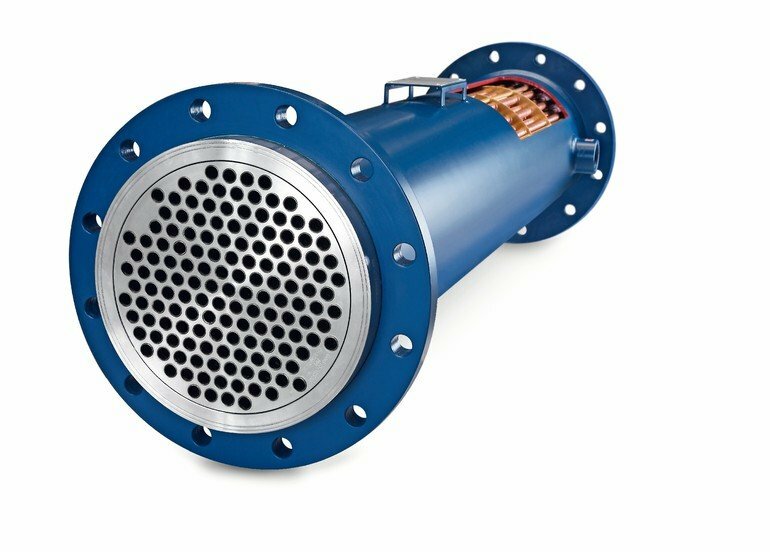 The tube bundle heat exchangers used by Aerzen are designed such that the performance loss due to the increased duct pressure (less than 2 to 3 %, depending on the application and requirements) is negligible – at least in terms of the savings as a result of heat recovery. 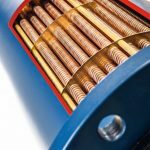 While the thermal energy from the pure exhaust air can be utilised most effectively for direct room heating, tube bundle heat exchangers represent an energy source with significantly higher temperatures, opening up a multitude of potential uses. Supporting heating systems, preparing hot water for showers and washrooms or heating service water in industrial environments are typical applications. In wastewater technology, the heat is used to dry sewage sludge. When planning these systems, they must always be sized to match the base load. This can easily be read off using long-term characteristic curves. The starting point for optimum waste heat utilisation is to determine the usable heat. This obviously depends on the usable temperature difference, the prevailing volume flow (i.e. the quantity available over a period of time) and the degree of simultaneity of supply and use. In view of these interdependencies, Aerzen offers smart heat recovery solutions for each application, so that the available energy is effectively channelled into production processes, hot water preparation or heating systems. Compressed air generation is automatically linked to waste heat due to the law of thermodynamics. Since this law cannot be repealed, solutions are needed to integrate previously unused heat into a plant’s own energy demand. 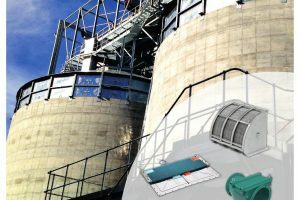 Plant operators often fail to recognise the full extent of the potential savings. In practice, however, this technology pays for itself quickly and also reduces CO2 emissions.